BP Properties Platform Removal - Global Diving & Salvage, Inc.
Wild Well contracted Global Diving & Salvage, Inc. to provide saturation diving support in the removal of several hurricane-damaged platforms. The work was carried out from the “Superior Performance”, an 8-point moored barge equipped with an 800 ton crane. 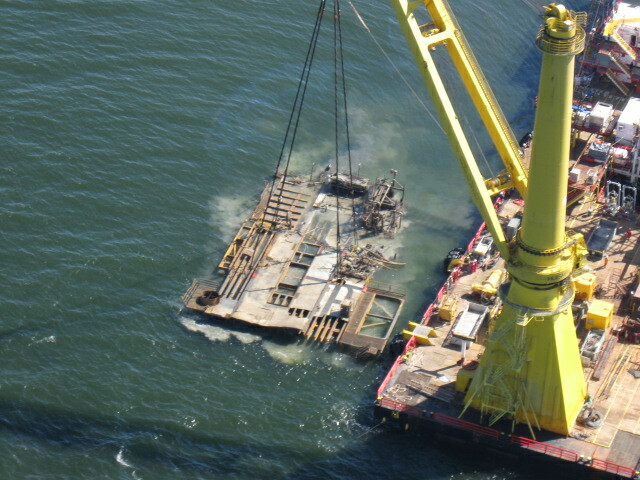 The project included cutting of the damaged legs as well as the rigging and lifting of the platform sections.